Happy Sunday! Sunday’s are prob one of my fave days because I have come to fondly refer to them as my mad scientist/baking experiment days. Throughout the week I generally do my run of the mill meal prepping but Sunday’s I like to do the majority of my “just for fun” baking experiments. So today I have a brand spanking new (fun!) 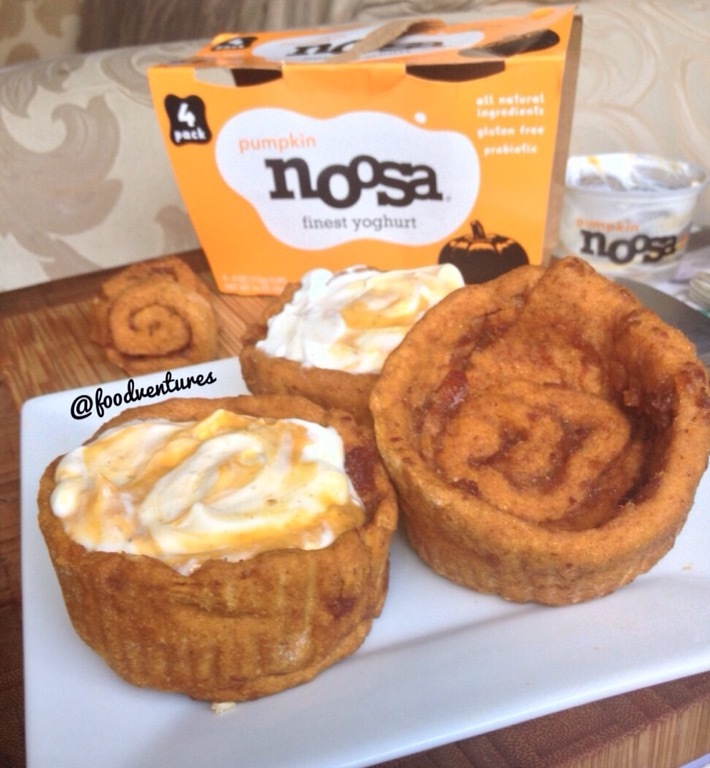 recipe for you – pumpkin cinnamon roll ice cream cups. 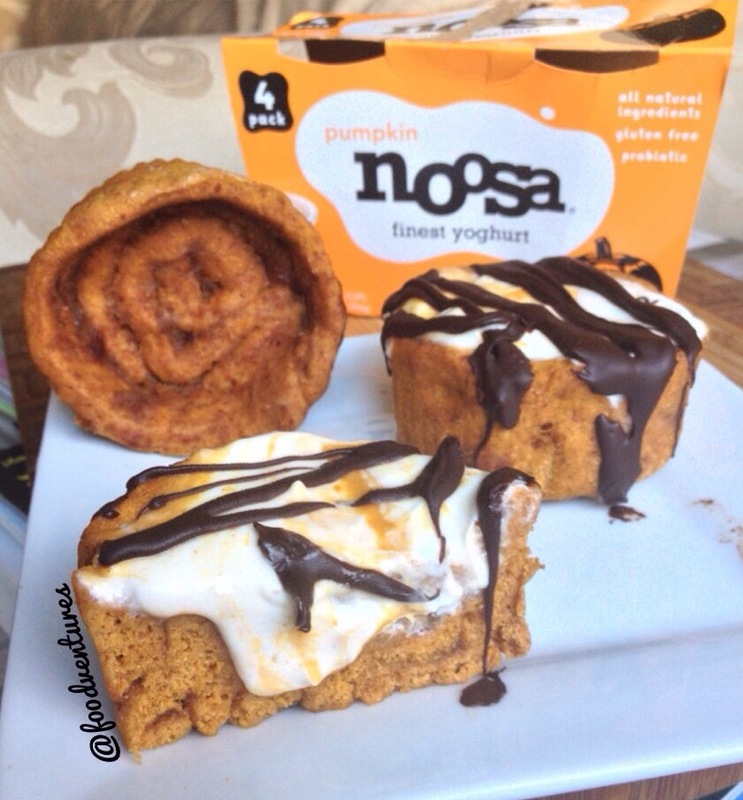 What actually inspired this recipe, however, was the pumpkin noosa yogurt that recently debuted for Fall. I knew after trying it I had to make something fun to go with it. And so this recipe was born. 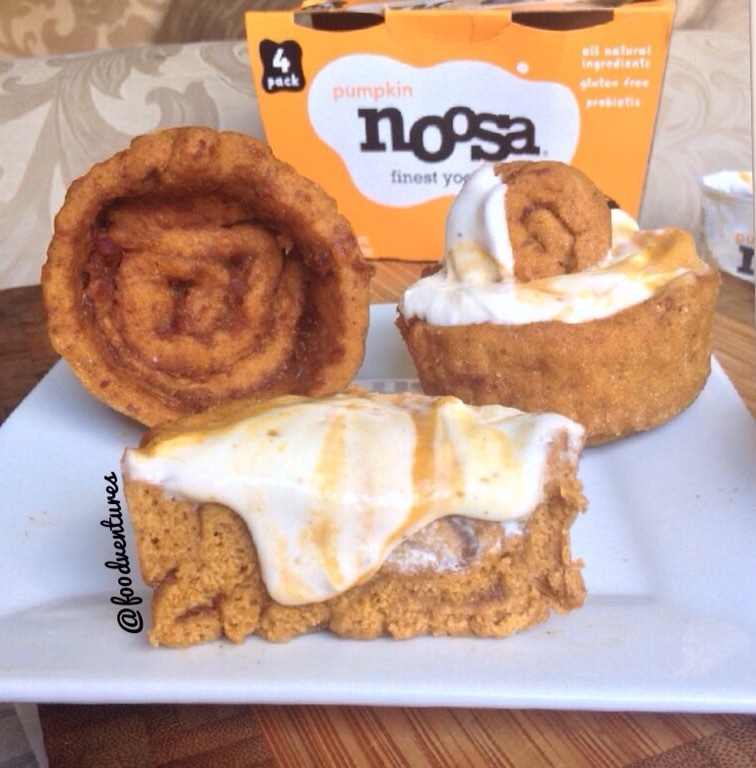 So anyway back to these cinnamon roll cups. 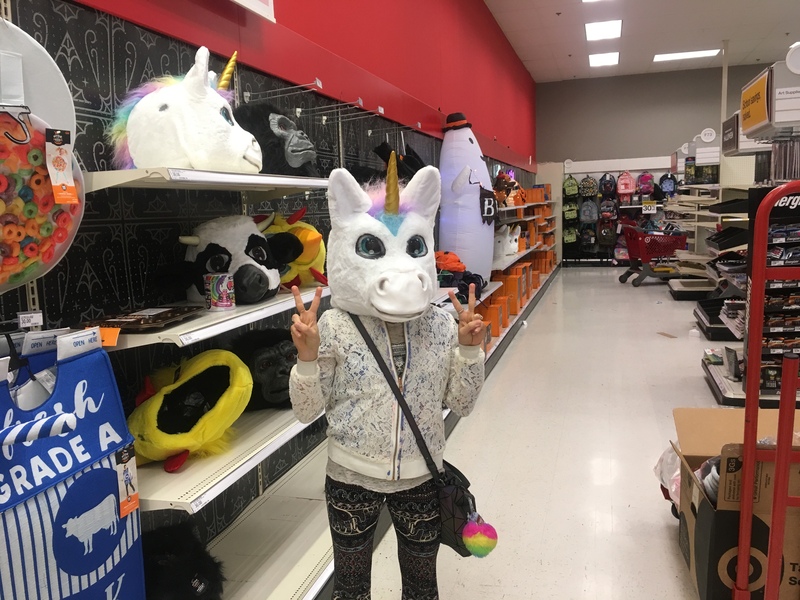 Actually, I don’t really have much left to say. 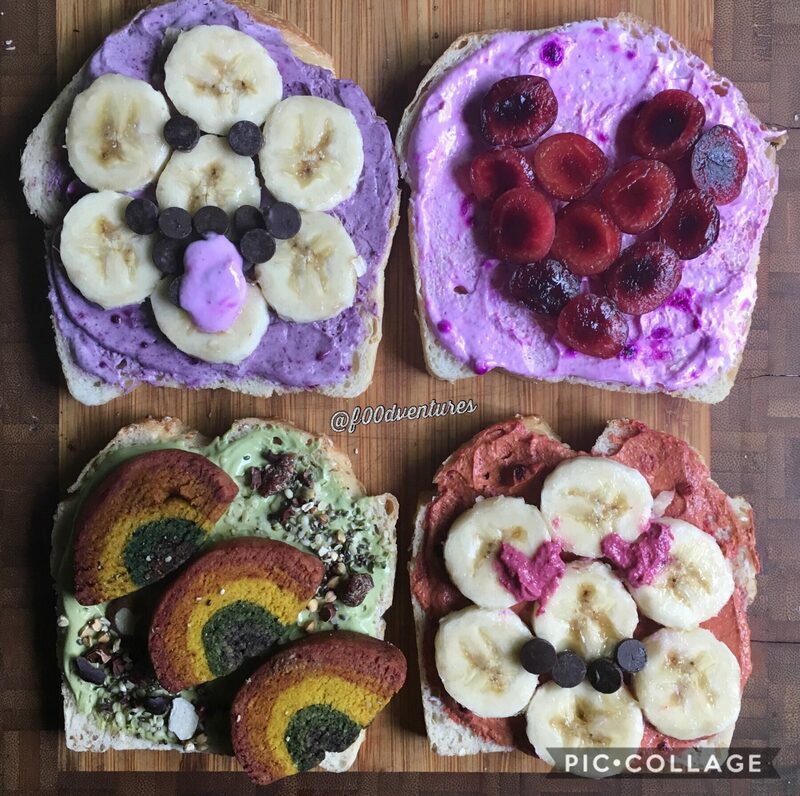 A pic is worth a thousand words and I’ve provided you guys with 7 pics….that’s like 5 books worth of writing right there lol So all I have left to say is the full recipe is below! In a food processor combine first 5 ingredients and blend well until a dough forms. Add more flour, a spoonful at a time, until dough is easy to handle I.e. Not sticky. Roll out on a flat surface into a rectangle, like you would for regular cinnamon rolls. I like to cover my surface with flour and then cover my rolling device (I use a glass drinking cup) with coconut oil to prevent the dough from sticking. Brush dough with butter then spoon date caramel on top, leaving about half an inch from the edges clear so the filling doesn’t spill out. Roll up dough loosely then cut off ends with a serrated knife. Get out 3 muffin liners and 3 small microwave safe bowls. Place liners inside bowls, make sure they aren’t a tight fit, it should be more of a loose fit. Set aside. Gauge the size of the bottom of the muffin liner then cut a cinnamon roll small enough to nestle inside the liner. Repeat with the other liners. You should only use about half of the cinnamon roll dough for this. With the rest, cut into equal sized cinnamon rolls. Unroll one cinnamon roll so you have a long strip of dough. 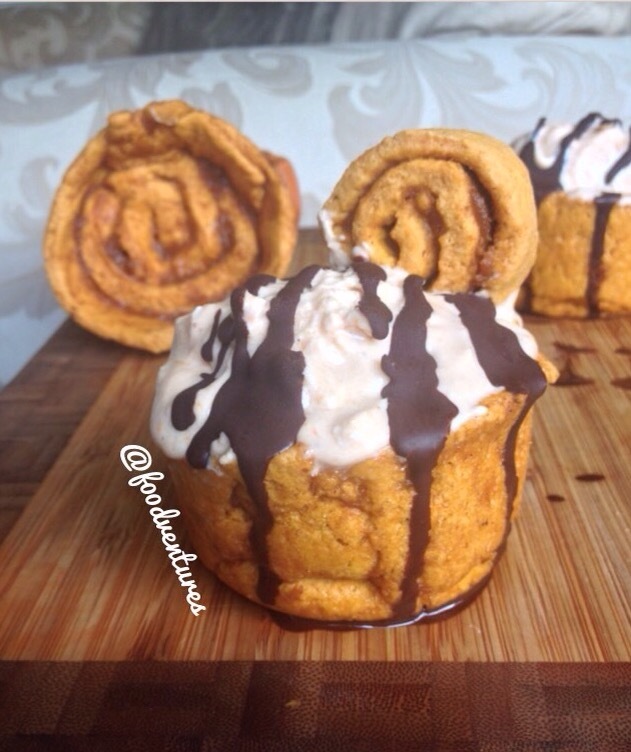 Wrap it around the mini cinnamon roll in the muffin liner (refer to pics above). Pinch the edges of the dough together then gently press down on the mini cinnamon roll. Repeat with the rest of the dough. 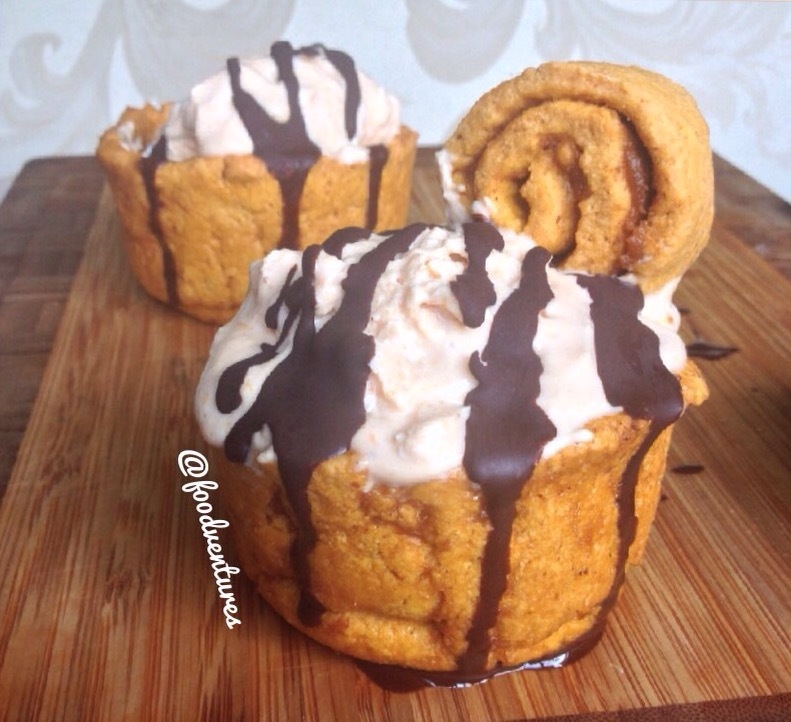 Microwave for 2-2 1/2 minutes or until center of cinnamon rolls is cooked. 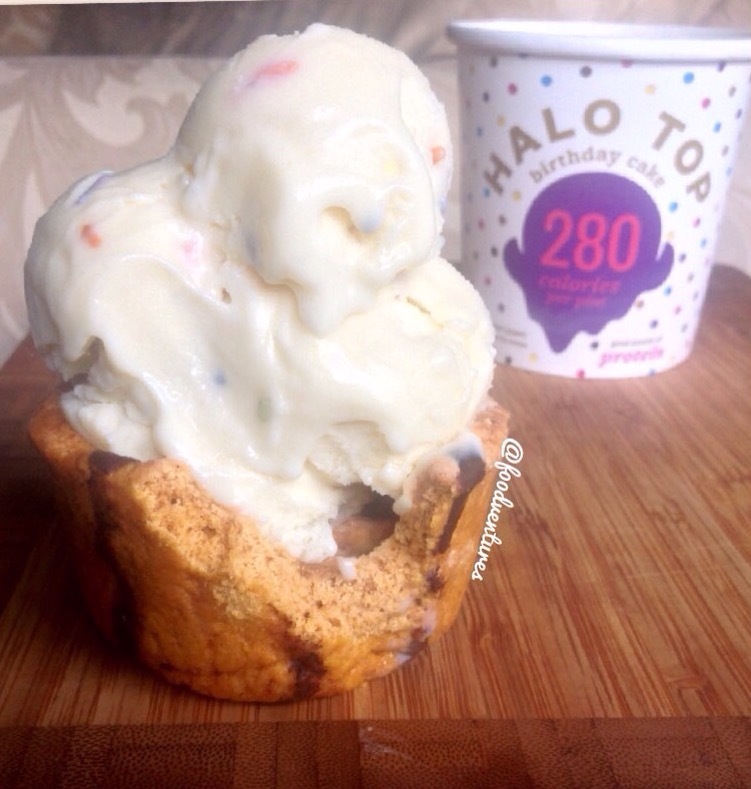 Let cool completely then fill with yogurt, ice cream, cream cheese, etc.